Since I started tradition of posting news from Sony/Minolta world, omission of such a big news would not be excusable. Here it is, long awaited Full Frame Sony. Check out dpreview’s preview (sorry for the pun). As always, David Kilpatrick gave a good a look at the new gear. 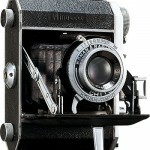 His insightful articles could be found at www.photoclubalpha.com. 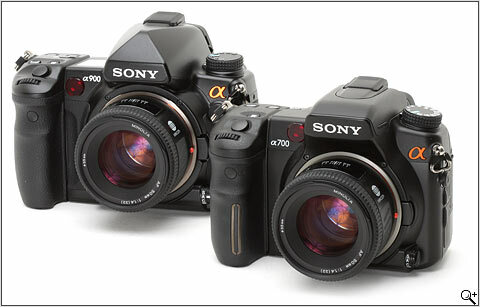 I personally like the headline picture from dpreview showing both A700 and A900. Look at those 50/1.4 Minolta branded lenses! 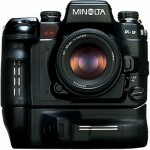 Minolta is still alive! It’s interesting to compare A700 and A900 side by side (click on the image to zoom it in). Essentially, A900 looks like an upgraded and scaled up A700. As many reviewers noticed, A700 users will feel home while handling A900 body. Funny enough, huge pentaprism housing on top of the camera drew the most attention and became a subject of jokes from Canikans. Well, if you buy camera to be fashionable, then you better spend your money on Louis Vuton and Prada. Real photographer does not care how his camera looks. Right? As a Minoltian guys I’m keeping my eye on news from Sony camp closely. 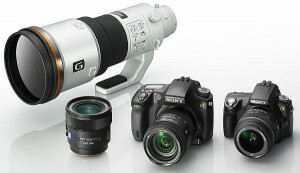 At last PMA Sony managed to surprise the market by announcing new entry level DSLR’s with live view. This is fully functional Live View, i.e. focusing and all other functions are intact when Live View is turned on. Kudos to Sony!